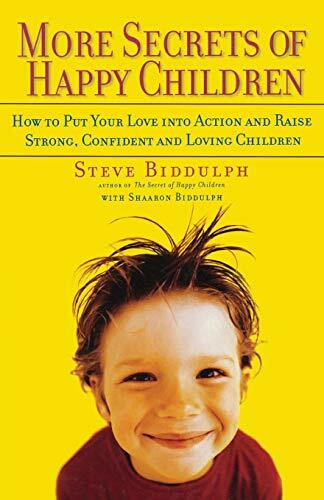 In More Secrets of Happy Children, Steve and Shaaron Biddulph tackle the important concerns of parents in the new millennium with inspirational ideas and advice for day-to-day living with children. As counselors, educators, and parents, the Biddulphs have worked with families for more than twenty years, and have talked with thousands of parents about what works--and what doesn't. With warmth, humor, and wisdom, they cover issues including how to help toddlers and children feel secure, loved, and settled, discipline methods that work, being the best kind of dad, child care and working parents, and much more. The illustrated More Secrets of Happy Children will help parents put their love into action, understand what they are doing and why, and raise children they can be proud of in the twenty-first century.